Millions of people across the globe make a living off of selling on online marketplaces. From Amazon and eBay, to Etsy and Newegg, online marketplaces are not only great platforms for additional revenue, but can also serve as one’s primary source of income. Even though online marketplaces offer immense flexibility, the truth remains that managing your inventory and listing your products for sale on them can be a hassle. Not only is it imperative for sellers to keep their data and records up-to-date, but it is also crucial for them to avoid duplication. The number of problems also increases exponentially with the number of channels being used for online selling. When using multiple channels, it is imperative for sellers to streamline their processes for a more optimized sales experienced. However, with the help of the right tools and software, it will be possible for you to make a living off multiple channels with the same efficiency and ease as selling on a single channel. Using multichannel listing and inventory management software, you will also be able to leverage the elements and features of each individual online marketplace, and develop effective strategies for optimized results. Multichannel listing and inventory management software will also make it possible for you to streamline updates, purchases, product details, and payments, making your sales efforts a lot more manageable. Additionally, these types of software also serve as the missing element for enhanced communication between different channels, making it easier for you to sell your products. 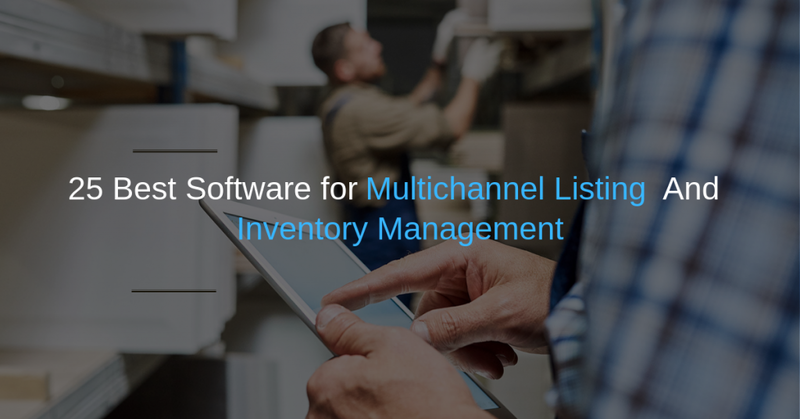 Using efficient software for managing inventory and listing on multiple channels can also help sellers save a lot of time and effort, and mitigate the risk associated with manual inputs. Automating your processes and efforts can also help you maximize profits by generating more sales than ever. Interested in taking your online sale game to the next level? Here are 25 of the best multichannel listing and inventory management software to help you manage your sales across the most popular online marketplaces. Known as ‘The Operating System of Commerce,’ Skubana is a multi-channel ecommerce software that can help sellers update their inventory across multiple channels with just a few clicks. The best part about Skubana is that users also have access to professional advice and tips that can help them see a hike in their sales figures. Since Skubana doesn’t offer any standard packages, you’ll have to get in touch with the vendor for a custom quote. With options to automate updates and integrate them across various channels, SellerCloud is truly one of the most promising inventory management available in the market. In addition to helping sellers comply with the individual requirements of each channel, SellerCloud also updates sales information across all channels to ensure that sellers don’t oversell products that are no longer in stock. An effective solution for multiple channels including Amazon, Rakuten, and eBay, users will have to pay at least $500 each month to benefit from the tool. Multichannel listing software Jazva allows users to list products across multiple marketplaces efficiently and effectively. By using a single, accurate list, sellers will be able to update their inventory on different online stores to ensure buyers will be able to get all the information they need regarding each product on sale. It is, however, important to note that some users have faced problems with customer support which is why Jazva may not necessarily work for you. No starting price has been provided by the vendor, hence, interested users are recommended to contact Jazva for a custom quote. BigCommerce does not only allow sellers to manage inventories across multiple channels efficiently, but also helps streamline purchasing and shipping. With more features than most other software, BigCommerce even allows sellers to leverage social media platforms like Instagram and Facebook for increased sales. The only problem with BigCommerce is that most of the terminology and jargon used on the software is complex which may make it a bad choice for beginners. With that said, the most popular package of BigCommerce costs just $79.95 per month. A full-service ecommerce solution, Expandly allows users to manage sales, sell products, and ship them across multiple channels. For added convenience, Expandly also allows bulk printing options that allow users to print shipping labels, invoices, and reports in bulk. Expandly offers multiple different pricing packages based on the number of products you’re selling and the channels you wish to use. The cheapest package costs just $55 a month, while the Enterprise solution can cost as much as $1950 each month for unlimited products. In addition to providing inventory management solutions, StoreAutomator also allows users to manage additional data effectively. Supporting various channels including Amazon and eBay, StoreAutomator also allows users to synchronize their data and manage their catalogs for improved results. The best part about StoreAutomator is that it is constantly being updated, resulting in optimized order management, inventory management, and product management solutions. StoreAutomator offers 4 different pricing plans depending on the number of features and functionalities that users will be interested in, and the number of products they intend to sell through their online stores. Sellbrite allows sellers to use a single central list to update their inventory and lists across multiple different channels. In addition to providing users with the ability to use listing templates, Sellbrite also gives sellers the chance to tag their items for easy and convenient searching and retrieval. There are 4 different pricing packages for Sellbrite. The price of each package varies based on the number of monthly orders and add-ons. Sellbrite also comes with a 14-day free trial to help you understand whether the product works for you. Supporting sellers throughout their journey, Etail can be used to communicate effectively with suppliers, list products across various channels, and manage inventory effectively. The free demo by Etail allows you to figure out which functionalities and features you might need for selling products on online marketplaces. If you are interested in the product and what it has to offer, you can contact the vendor at any time for pricing and plans. This multi-channel ecommerce software leverages a strong network of suppliers to help you keep your inventory synced and updated. By providing sellers with unique solutions to manage purchases, orders, and sales, InventorySource is one of the best software for sellers of online marketplaces. InventorySource offers three different pricing plans for automation of your services and processes. Users opting for the Directory Account get the chance to view all drop-ship suppliers and search for individual products without any payments. Unlike most software for multichannel inventory management and listing, PlentyMarkets works per order instead of a fixed monthly amount. This gives sellers more autonomy and allows them to choose their own payment terms. Like all other software created to help sellers, PlentyMarkets also has a number of features and functionalities that can help with everything from inventory management to keeping webstores updated. The great customer service and support of PlentyMarkets has also contributed immensely to its success. StoreFeeder offers complete visibility of your inventory and sales, making it easy for you to optimize your processes. Supported by various channels, StoreFeeder also gives you the chance to list across multiple channels in bulk, allowing you to save time and focus on expansion of your business. Pricing for StoreFeeder starts at just a little less than $300 a month, and can change based on your preferred functionalities and capabilities. The software is also extremely easy to use and highly interactive making it a great choice for beginners. In just $99 a month, sellers can streamline and optimize all their sales processes and effectively sell products using multiple channels and platforms including Amazon, Shopify, and eBay. In addition to being one of the best multi-channel listing software, Sellware also comes complete with great customer service, allowing users to take their business to make informed decisions under the supervision of trained professionals. SellerDynamics is an interesting multi-channel ecommerce solution that allows users to list SKUs, manage products in inventory, automate pricing, and complete the entire shipment process successfully. Supporting a variety of online marketplaces including Amazon, eBay, Shopify, and Rakuten, SellerDynamics allows users to process orders quickly and effectively to take their business to the next level. SellerDynamics offers four different pricing plans namely Small Biz, Standard, Standard+, and Advance. The Small Biz package is intended for users who have annual online sale revenues as much as $140,000, whereas the Advanced package caters to users with over $700,000 in annual online sales. Being the first ever listing tool built for eBay, it’s fair to say that SixBit Software has indeed come a long way since its inception years ago. 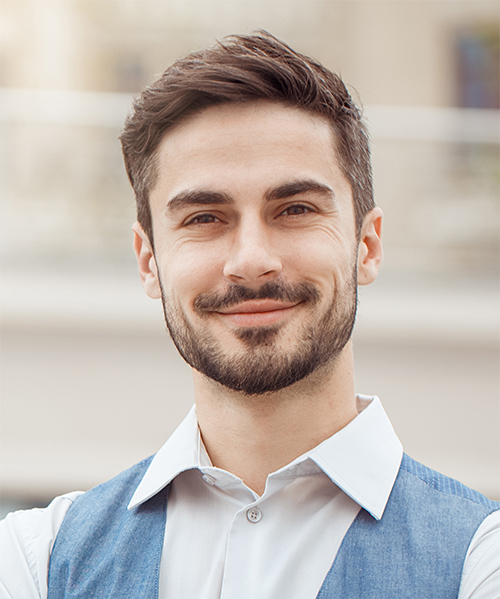 Having spent years in the field, the team behind SixBit software understands the pain points of sellers, and continuously works to provide the best online marketplace solutions to sellers. SixBit Software offers multiple pricing packages intended for different audiences namely Home & Hobby, Small Business, Enterprise, and Enterprise Duo. As you might have guessed, each of these packages offers a different range of functionalities and capabilities. Additionally, the number of channels that can be leveraged also depends on the pricing plan that you choose which is why it is important to understand your requirements beforehand. A cloud-based ecommerce solution, MucheCo is integrated with a wide variety of online marketplaces and platforms. Unlike other software and tools, MucheCo comes complete with automatic storage and backup of all of your important data and updates, allowing you to streamline and optimize for improved results. The idea behind MucheCo is to make sales across multiple platforms and marketplaces as simple and convenient for sellers as possible. MucheCo offers both monthly and yearly packages starting at just $69 a month. The best part about MucheCo is that it allows users to set dynamic prices for their products, which means that the price will automatically increase or decrease based on market demand. MultiChannel Works features multiple automated workflows that online sellers can benefit from. In addition to providing comprehensive and effective solutions for inventory management, MultiChannel Works can also be used for bulk listing of products and items across various channels. With the help of MultiChannel Works, sellers can, therefore, update their product lists across multiple channels with just a few clicks, and start focusing on other more important operations and decisions. For added ease and convenience of Amazon sellers, MultiChannel Works also supports Fulfilled by Amazon, allowing sellers on the Amazon marketplace to streamline their processes. MultiChannel Works is extremely popular among online sellers, and can usually be used for just $60 a month. Linnworks gives users immense control over their online sales and revenues by promoting cross-channel selling directly from the interface. Supported by dozens of sales channels, Linnworks can be used to keep track of all products and sales without any problems. Like most other software and tools, users can also opt for a free trial of Linnworks in order to check the functionality and capabilities of the software and see whether it works for them. The Professional package of Linnworks can be purchased for only $200 a month for unlimited orders across unlimited channels. This package also comes with complete 24/7 customer support to help you with online sales. If you would like additional functionalities, you can contact the vendor directly to find out about the Corporate package. SellerActive is one of the best ecommerce solutions for both novice and seasoned online sellers. With the help of the software, it is not only possible for users to update their Amazon product lists from a number of different online marketplaces, but online sellers also get complete visibility of all of their online stores for improved results. In addition to providing great functionalities and capabilities, SellerActive also comes with extremely professional customer support. What’s more, when you opt for SellerActive, you can also benefit from live training sessions to help you increase your sales figures and revenue. SellerActive offers both monthly and yearly pricing plans for the convenience of users. For just $99 per month, users with up to 5000 monthly orders can use Selro to manage their inventory, streamline the ordering process, and even benefit from efficient shipping methods. Unlike most tools and software, the business model for Selro is not based on commission. This means that all the revenue you get from your online sales is yours and yours alone. The best part about Selro is that it also supports WooCommerce, allowing users to take their online sales up a notch. Stock and inventory levels can also be synced across multiple channels preventing duplication and overselling. marketplaces including eBay, Amazon, and even Etsy. With listing management, inventory syncing, order fulfillment, and advanced inventory management features all in one, Listing Mirror offers a unified solution for countless issues that online marketplace sellers face on a daily. While the Professional package for Listing Mirror costs just $119 a month on a monthly plan, opting for the annual plan can save you as much as $240 every year! Ecomdash is a very promising ecommerce solution that gives users the chance to list hundreds of items in just a few minutes. Supported by Amazon, Etsy, Shopify, and eBay, Ecomdash can also give you complete visibility of your inventory and stock levels to ensure that you don’t oversell products that aren’t in stock. The software has been used by thousands of users across the globe to manage over 15 million SKUs to date. The best part about Ecomdash is that it can also be used to streamline and automate drop shipments for improved results. Supported by Amazon, Newegg, and even eBay, Kyozou can be used for the management of inventory on various platforms and makes listing on online marketplaces easy and convenient. With its unique marketplace integration feature, Kyozou is also extremely popular among businesses that are interested in growth. The tool also comes complete with ecommerce support allowing users to make informed decisions that will be in the best interest of their online business. Kyozou features two major plans called Pay by Percentage of Sales and Pay per Listing. These pricing plans give users the freedom to choose the package that works best with their business model. Regardless of the option you choose, you will be glad to know that there are no hidden fees or charges with Kyozou. Based on the Software as a Service model, ChannelSale can be used to manage inventory, listings, and shipping on various channels including Amazon. The unique model allows ChannelSale to be used by an unlimited number of users simultaneously – that too without going through the hassle of downloading, installing, and updating different software. Additionally, the platform also gives users complete visibility of different online stores right from the main dashboard. With Channels, users are also given the chance to set attributes to their products, allowing buyers to gain more relevant information and make informed decisions. ChannelSale also features a unique mapping tool that ensures that products and items are placed within the correct categories to maximize the chance of sales. ChannelSale also offers immense flexibility, and can be used to manage thousands of products without any trouble. Available on both mobile and desktop, Nembol can be used for inventory management, listing, and even order management across multiple different channels including Amazon and eBay. Nembol comes with a free 14 day trial and offers 3 different pricing plans for the convenience of sellers of different online marketplaces. One major problem with Nembol is that it only works with products that are associated with a unique product identifier called ASIN which can make updating lists difficult at times. Nembol also offers multiple functionalities and capabilities that make it a great option for sellers, and can be used to prevent duplication and overselling. SalesWarp is one of the few multichannel listing tools that allows users to decide whether they would like to update their lists across marketplaces in bulk or based on the category of the product. Supported by various platforms and marketplaces, SalesWarp also lets users create templates for listing products even more efficiently, making it a great choice for multichannel sellers. Pricing plans depend on the order volume and annual revenue of sellers, and users have the chance to opt for additional functionalities and capabilities by paying extra. Now that you know which inventory management and listing software to use for your online stores, we recommend that you start preparing a business model to make a living off the internet for yourself.